Now the great thing about offers is they will get you sales. See people, your customers, your potential customers, so when I say customers, obviously they become repeat customers, clients or whatever you want to, which of way you want to describe them. But it’s also potential new customer. Now if they are ready to buy, they are ready to buy. And then you have to show them the value of your product and so on, it’s not the price, we have discussed this recently. And it’s not how wonderful you are, it’s what the value is to them. How they perceive the value. So you describe that. But quite often an offer can tip them over the edge. Because people will buy opportunities. So that means you should only be marketing to those that are within your target market. Aim for your typical type of buyer. Don’t sort of spray and pray. Don’t put it out, don’t advertise in the yellow pages or in the local newspaper and hope for the best. Target your typical buyer. So you know they are potentially a customer. Now they may not be quite ready because that’s why they didn’t buy when they first came along and looked at your website or read what your post or your article or your email or your tweet or your Facebook post, whatever it was that where they found you. They weren’t ready. But you, if you can put an offer in front of them, then that may provide the opportunity, so for instance they were thinking of buying it next week or next month. They were thinking in those terms, ‘Yeah that’s great, I need one of those but not just now.’ Why not put an offer in front of them? Now that’s going to work. It is no surprise. So when you go, you see offers in the backs of newspapers and magazines. You will see offers on TV. Look at those infomercials, especially on American TV. Look at all the infomercials and notice when they spend half an hour, 30 minutes of telling you about a wonderful product, they quite often will throw in an extra one for free. Once they say, and this is only $29.95. They’ll say, and not only that, we are going to give you 2 for the price of 1. And we are going to throw in free shipping, if you buy it within the next 24 hours. Something like that. Then they are going to think, ‘Maybe I’ll come back next week, or bit earlier and buy it’. So you need to put a deadline because they will forget, life gets in our way. Life is full of so many distractions. We cannot avoid it. We’ve got work, family, kids, ah everything going on. You, I guarantee no matter how much somebody wants what you have and your offer, they will forget. And you might think, ‘Oh! No they don’t, every time I’ve put out a special offer, always had orders.’ Okay. There is a proportion of people that forgot. That did not get around to it. Okay. They just did not. They planned to do it later, they didn’t get around to it. So put a deadline. Have you ever seen an email or gone to a page that says this is available right now. So perhaps you’ve bought something online and as you pay for it the next page comes up that says, ‘hey I got a special for you. This is just few, right now it’s going to last for say 10 minutes. It will expire. You will never see this offer again. You’ll never see this page again. Right now.’ The reason they do that is because people will buy. And if for every a hundred people, even just 20 buy that, but I can guarantee that there numbers are going to be 50 or 60 because people, when they have their wallet out, they are ready, they are in the mood, they’ve already bought something, they trust you. They’ve taken that step and so excited to get the product. Then why not have something else just top it up a bit. So it’s like in supermarkets, especially in the UK. We have a lot of buy 1 get 1 free offers. Or you can buy chicken for sort of £3.50. But two for £5. You don’t even want two chickens, but you’ll buy two for £5. They’ve just upsold you from £3.50 to £5. The chickens don’t cost them that much. They’ve just increased your average sale. And that’s because, that’s not a deadline but you’re there right now. They put them on the end of the aisle. They know you are not coming back later. Put in front of you right now. But you’ll see often. 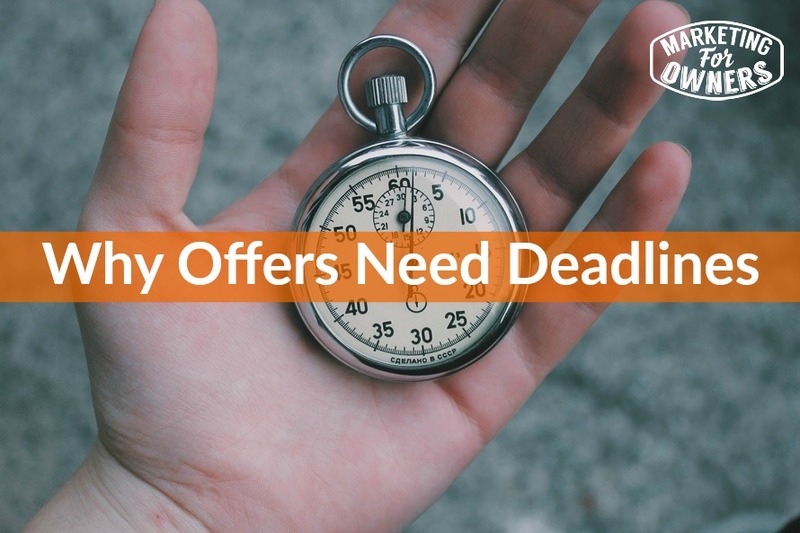 Now look around, look at the ads and see the deadlines, see this offer expires. So make an expiry on yours that will make a huge huge difference to everything you do. So if you put it in an email, if you put a coupon code, expire it. Okay. Give them 24 hours, 48 hours, 72 hours, something like that. Don’t make them too long. Don’t give them a week, don’t give them 2 weeks, make them short. Make them take action. You can repeat the offer another time. Just make it, pair a deadline. It’s Monday and that means it is time for the book for the week. This one is a good one. 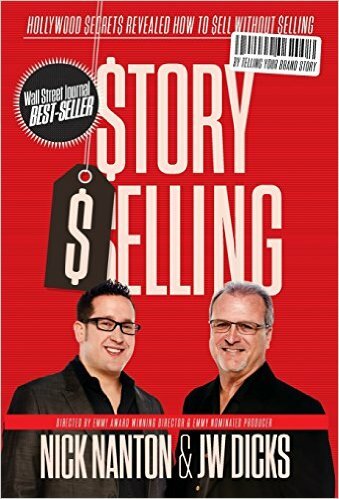 It’s called Story Selling. It’s by Nick Nanton and JW Dicks. They are Amy award winning directors and they specialize also in branding celebrities. 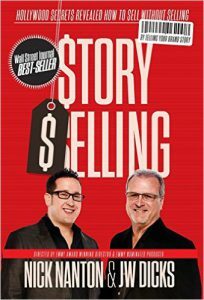 And they’ve found that there, to brand yourself, to really really successfully sell, you need a story. Now we all know that. They show that films such as Starwars and the Bible. There’s books, stories, stories sell. But there is a formula that is created in mythology and so on. That all these great stories follow and they pick them out and they scientifically analyze the great stories. What makes them successful, and they pick out those bits. It is a fabulous way. You can analyze your story. You can write it alongside the formula. I strongly strongly recommend it. Go get it. Enjoy it over the week. I’ll see you tomorrow.